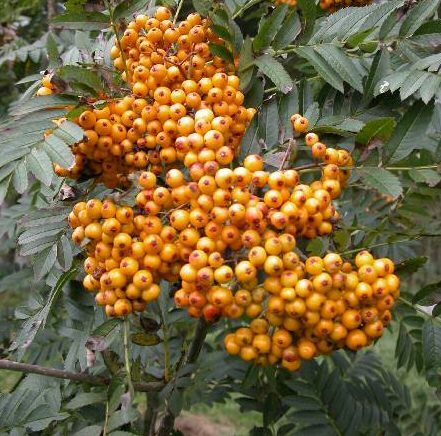 A very attractive yellow -berried, hence its name, Mountain Ash or Rowan tree, Sunshine (Sorbus 'Sunshine') has an upright form when young. It carries large glossy green leaves with sharply toothed leaflets. The yellow berries are produced in attractive large clusters. This tree is supplied at a height of between 150 - 200cm and supplied in a 7 - 12 litre container for year round planting and better results than from either bare-root or root-balled stock.